Sunday mornings are made for sleep-ins (or an attempt at one), morning walks along the river, trips to the markets and if I’m lucky, a lazy brunch in the sunshine. They are not, in most cases, for running through bushland in a pair of camouflage overalls that (unattractively) expose your ankles, wearing what looks like a motocross face mask and being shot at with hard nuggets of paint. And yet, for the sake of the bucket list, I did it. 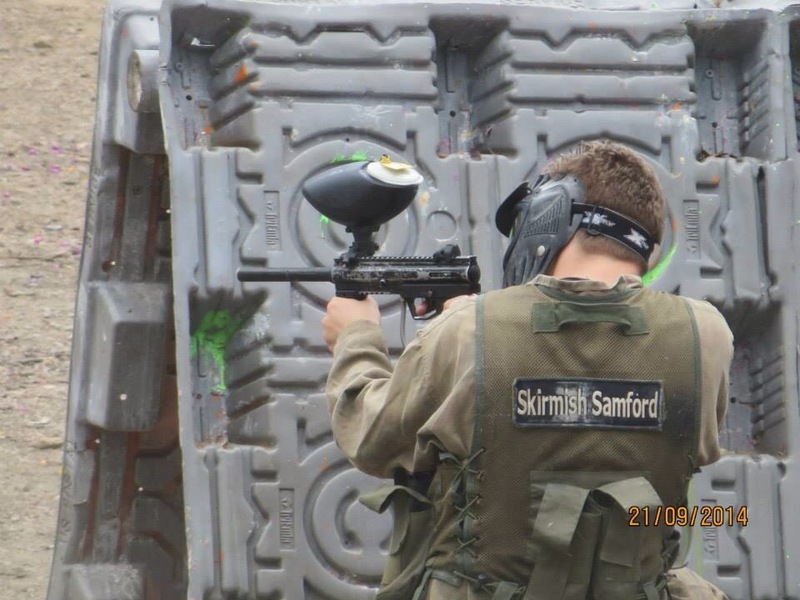 A few weeks back, while almost everyone I knew was enjoying a relaxing sunny Sunday morning, my mate Justin and I were getting ready to face off against some off his colleagues at Samford Skirmish. 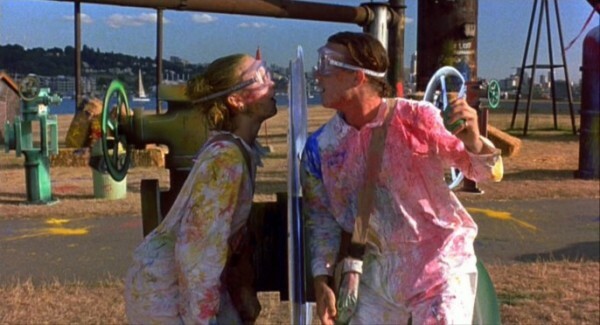 Pretty quickly I realised that I’d mistaken skirmish with the fun game of paintball played by Julia Stiles and Heath Ledger in 10 Things I Hate About You. 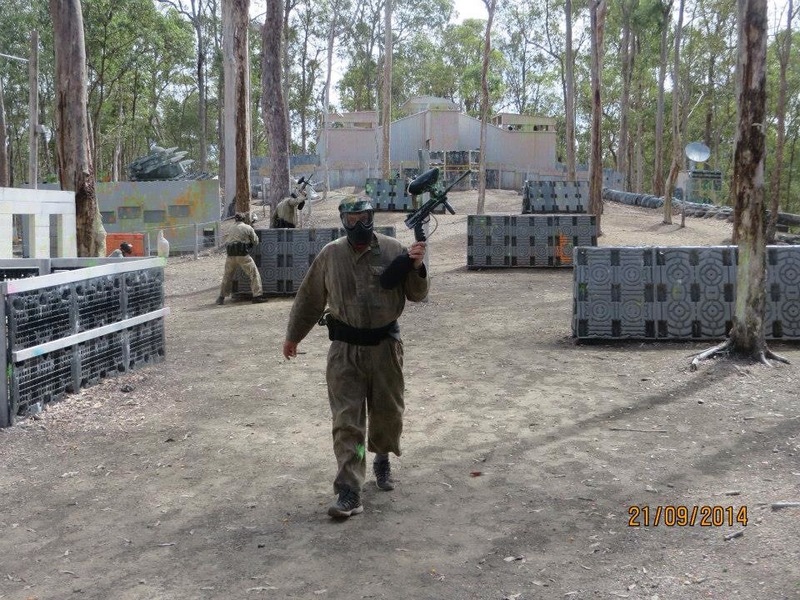 Instead of throwing balloons of paint at each other, we were armed with gas-fuelled semi-automatic BT-4 combat paintball guns. 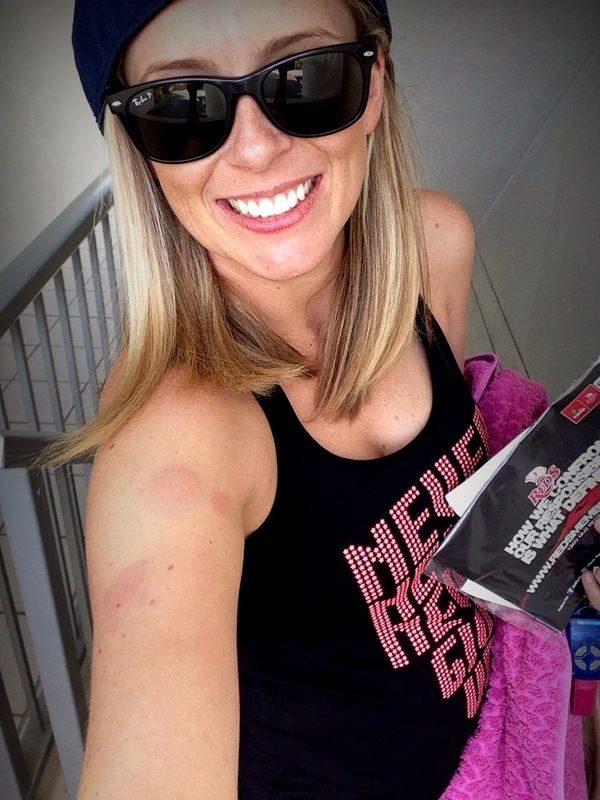 This wasn’t fun, it was warfare and my fancy-pants Lorna Jane ensemble and lady parts weren’t going to save me. My Sultana Bran almost made a reappearance on the way out to the field because I was so scared. Having had my brother jab me repeatedly the day before to ‘condition’ me didn’t bring much comfort, surprisingly. I normally don’t play hide and seek because I tend to give myself up because I get too scared waiting and constantly need to pee. Well, that and because I’m now 32 and it seems to have been phased out along with handball and Marco Polo. Thankfully, the radio gods must have realised I need a boost because—and this is not a word of a lie—Pat Benatar’s Hit Me With Your Best Shot came on just as I turned into the driveway. 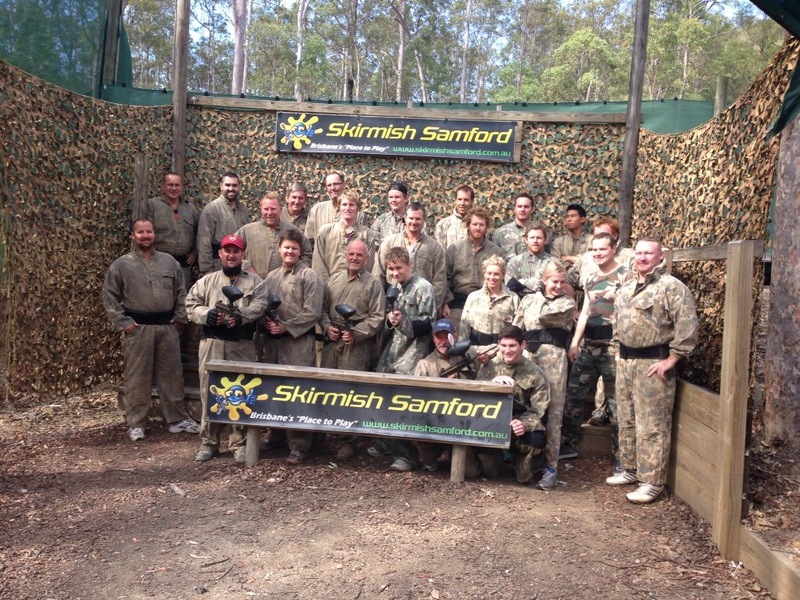 It fired me up … for a whole of three seconds until I realised I was the only female at the skirmish range and that I was signing up to be shot at. With something that would hurt. Upon arrival we split into two teams before being a safety briefing which covered many points, the most important being: Never EVER take your mask off in the field. Don’t event raise it. Not even to wipe away sweat. Keep that thing down. Why? Because if you raise it, you run the risk of being hit in the face. HIT IN THE FACE! And I like my face. 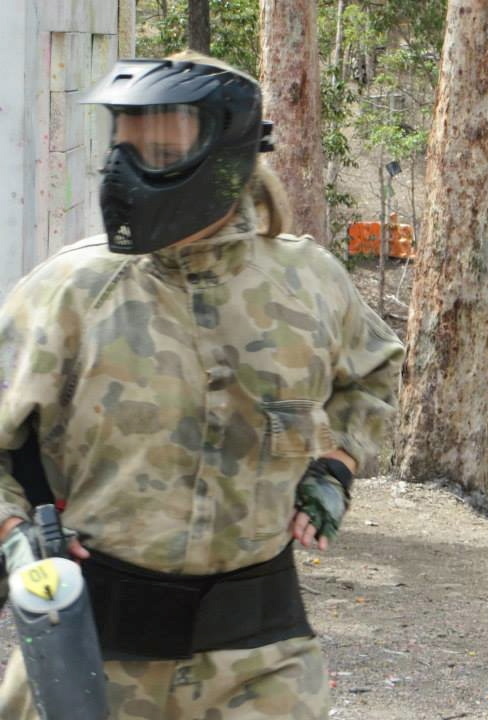 I particularly like my teeth, which we were told would crack if not break under the force of the paintball. I also like my eyes and if you cop a paintball travelling at full speed (more than 200 feet per second) you’ll most likely lose your vision. So it was masks on, guns forward and let the game of hide and seek begin. According to Skirmish Samford’s website, getting hit with a paintball doesn’t hurt as much as you think it will. But I disagree. I squealed. I screamed. I swore. Especially when I was ‘hiding’ behind a tree and was hit in both thighs at the same time (turns out I’m not as skinny as a tree) and I hobbled back to the safe zone only to have the Ref send me back into the war zone. By the time we’d hit our third game, I’d discovered a thirst for head shots and managed to hide behind a plank of wood where I lay in wait for my unsuspecting targets. There were head shots, body shots and the occasional friendly-fire shot (sorry to whoever I hit in the back!). By the time we reached the last ‘game’—three three-minute bouts of rapid fire in a small space—I only had about 10 hits, mostly to my arms and the top of my thighs. And then came the killer shot. I was hiding to the side of a window in a wooden hut when I turned to look sideways and someone’s bullet caught me right under the chin in the tiny gap between my face mask and my overalls. Oh my holy god, there aren’t even words to explain how much pain I was in at the moment. It immediately swelled but I didn’t cry. And I wanted to crawl off to safety, but with three minutes left on the clock I crouched down and let out an almost continuous stream of expletives while trying to get off my last few shots. Three hours after we started, we pulled off our face masks for the last time. We were hot, sweaty and sore. There was only one thing to do—head to the pub for some cold drinks to numb the pain and compare war wounds! 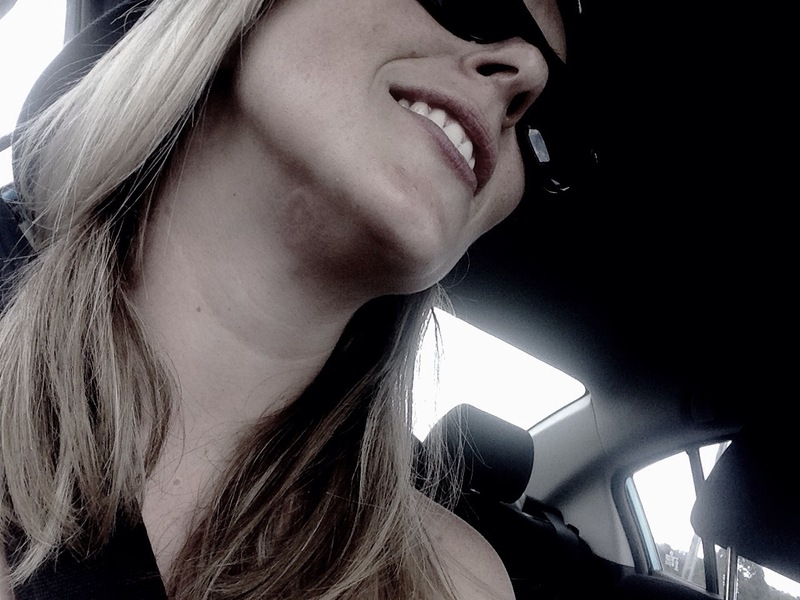 Looks like a hickey. Hurt like a paintball to the neck. Battle scars … two hours later. War wounds … one week on. I was invited to a skirmish day for a friend’s birthday, I thought it was so not going to be my thing, but I loved it! I understand about the pain though, I got hit in the finger at one point and thought it was broken and almost vomited with the pain. I can only imaginine being hit in the chin! !